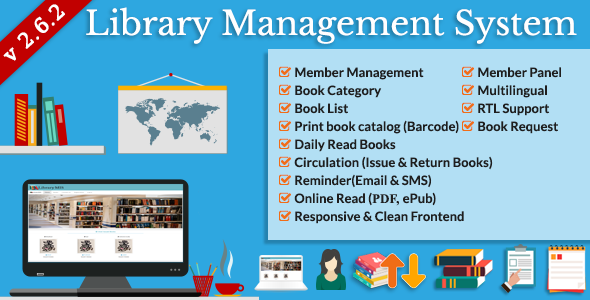 Library Management System is carefully developed for easy management of any type of library. Itâ€™s actually a virtual version of a real library. It?s a web based system where you can manage books of different categories, manage members of different types and manage issue/return of books easily.